In a world where a winning idea could be make or break for a business, it’s easy to see why some out there will rely on other people’s to get by. Throughout history, plagiarism amongst even the biggest companies has been incredibly common, and the problem is only getting worse. Thanks to the nature of the Internet, it’s never been easier for someone to steal your idea and present it as their own. Of course, though, you’re not completely unprotected, and this post is here to help you out. Unfortunately, it’s almost impossible to completely eliminate the chance of someone else copying you. People will always be able to find your business through the web, and this will be enough for the ball to start rolling. To solve this issue, having some protection in place is a great way to go. Trademarks: Brand is more important than ever for an upcoming business. If you handle things correctly, your logo and other assets will become very desirable. To stop people from simply taking your ideas in this area, you can use a system called trademarking. Using trademark consultants will make it easy to find someone who can help with this. It will cost a small amount to get started, but the benefits will be huge, and people won’t be able to get away with ripping you off. Patenting: Of course, your brand isn’t the only part of your company. Along with this, a lot of companies operating today are responsible for investing their own goods. To give you the chance to find your feet in your new field, a patent will last for a long time, while also protecting your work from others. This sort of protection will only last for so long, though, and you will have to work hard to remain at the top of your market once it has been lifted. Copyright: Without telling people that you own the content surrounding your business it will be a lot easier for them to take it from you. Thankfully, copyright law is very easy to understand, and most businesses won’t have to do much more than putting a couple of little symbols around their site. On its own, this sort of protection can be a great help. Of course, though, there are more options than simple services to keep your company protected. Discretion: In any case, the people working for your company should be people who you can trust. When you're developing a new product or range of branding, your new work can be very vulnerable to copycats. Thankfully, a nondisclosure agreement or two should be enough to protect you in this area. But, of course, you should also make sure that everyone is aware that they can’t tell others about their work until it is done. Hopefully, this post will inspire you to start working harder on the protection you have in place for your company. It’s a shame that this sort of thing even has to be considered at all. 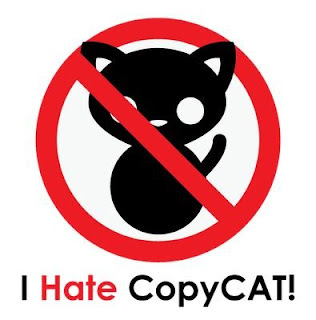 But, of course, there are plenty of copycats out there, and they could damage your reputation if you allow them to act as they wish.